Spain will euthanize pet dog of nurse with Ebola. 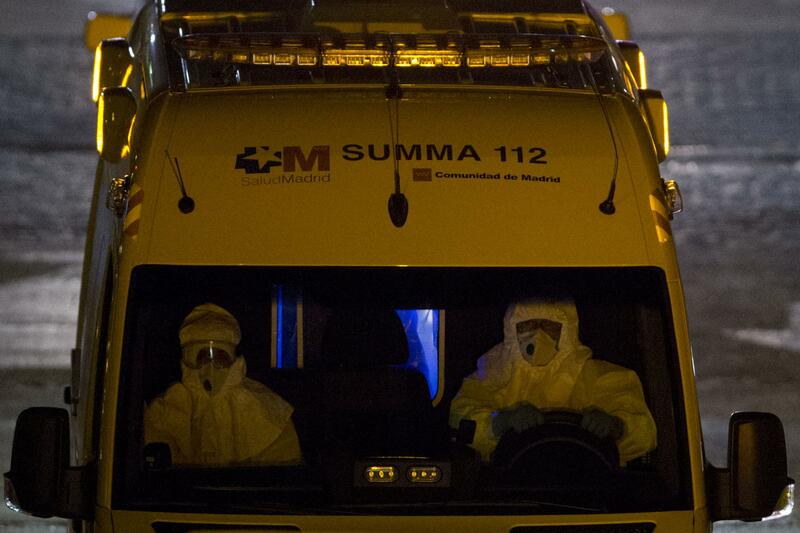 An ambulance transports the Spanish nurse infected with Ebola. The day after Spanish health officials announced the first case of Ebola in Europe, the country began taking steps to contain any potential outbreak of the deadly virus. Spanish authorities placed the infected nurse—who contracted the virus while treating a stricken missionary that had been returned to the country—in isolation, and quarantined her husband along with two others. Isolation and quarantine are pretty standard, universal steps taken by health workers to limit potential transmission, but Spanish officials went one step farther and got a court order to euthanize and incinerate the nurse’s dog. The infected woman and her husband objected to the euthanization of their mixed breed pet, named Excalibur. “The response by [the government] raised the specter that pets could spread the disease,” ABC News reports. “The government said available scientific knowledge suggests a risk that the dog could transmit the virus to humans.” U.S. officials said Tuesday they are not taking similar measures.